2 bedroom, 2 bath Condominium, completely furnished & equipped. $173,000 – Interior 1131 Sq. ft. Spacious unit, well maintained, fully furnished & equipped. 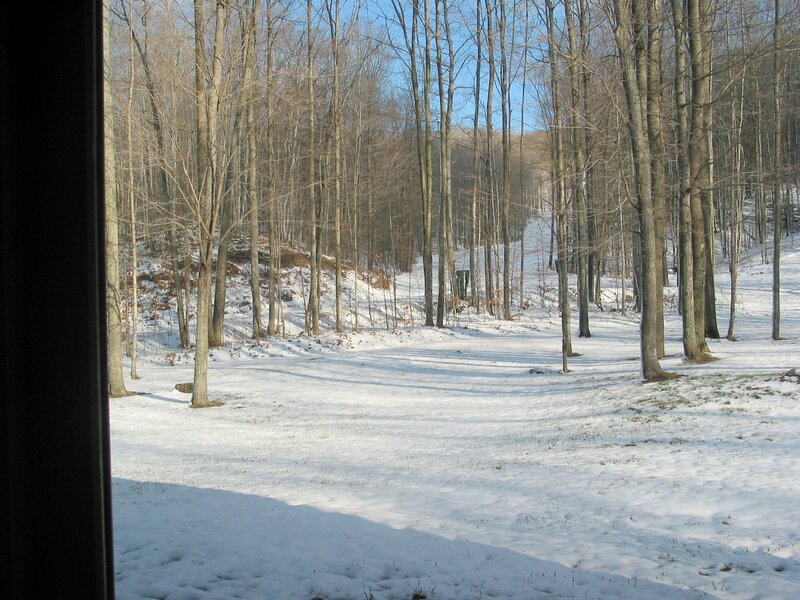 Inviting field stone fireplace,excellent location, ski-out, ski-in access to orange & brown chairlifts & cross country trails at Nub’s Nob South with superb view of ski hills. $159,000 – Interior 1028 Sq. 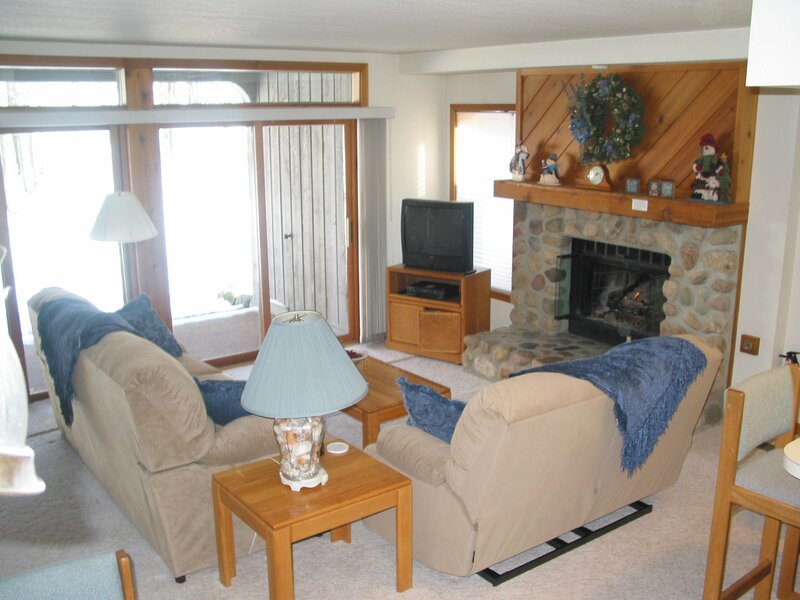 ft.
Unit 1, Hamlet Village Southridge Condominiums, Harbor Springs. 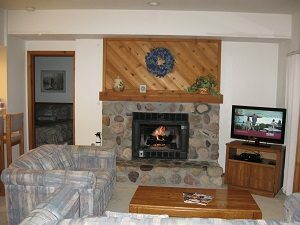 This Unit has a magical ski-in, ski-out location to Nub’s Nob chairlifts and x-country trail, “Home of the Midwest’s Best Snow”, summer hiking, walking, biking trail accesses the famous North Country Trail System and countryside views of lake Michigan from top of the nob. 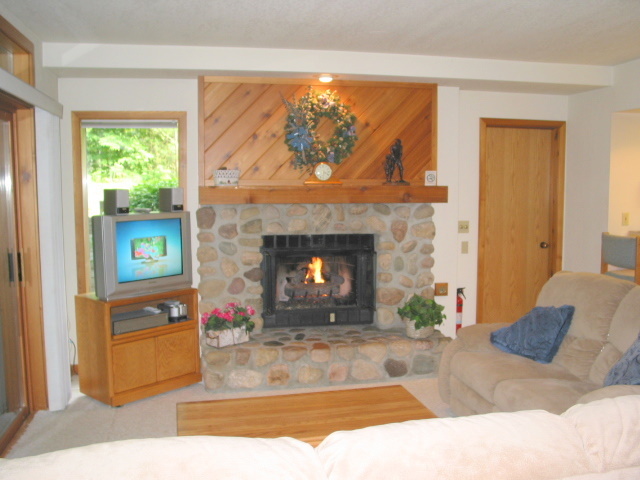 Furnished and equipped, features beautiful field stone fireplace with gas log, jetted bath tub, lockable owner’s closet and covered patio with BBQ grill. 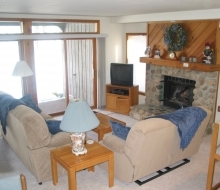 Minutes from golf, Petoskey, Harbor Springs, the 38 mile Inland Waterway and Lake Michigan. 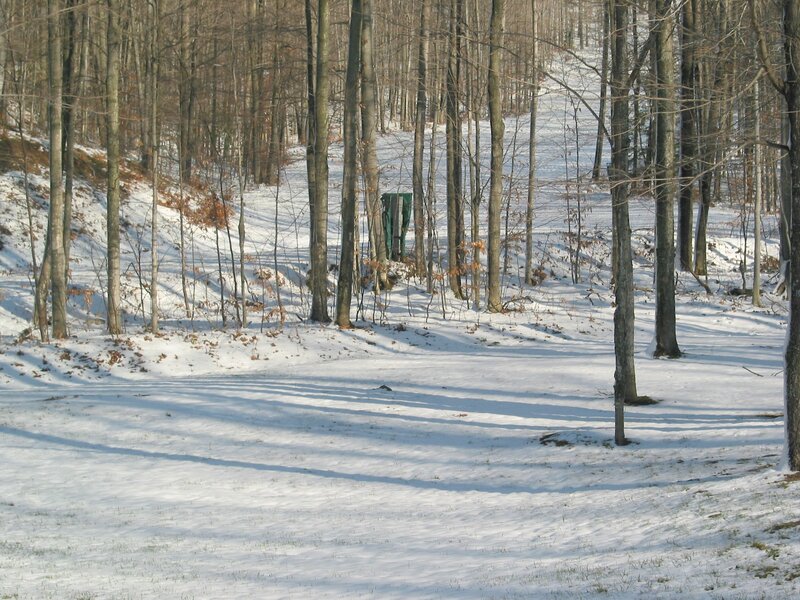 Compare this ski-in, ski-out unit’s price with those at other major ski areas. WI-FI and Cable TV included in association dues. “Hamlet Club” pool-whirlpool spa-sauna membership – annual dues $745.00. 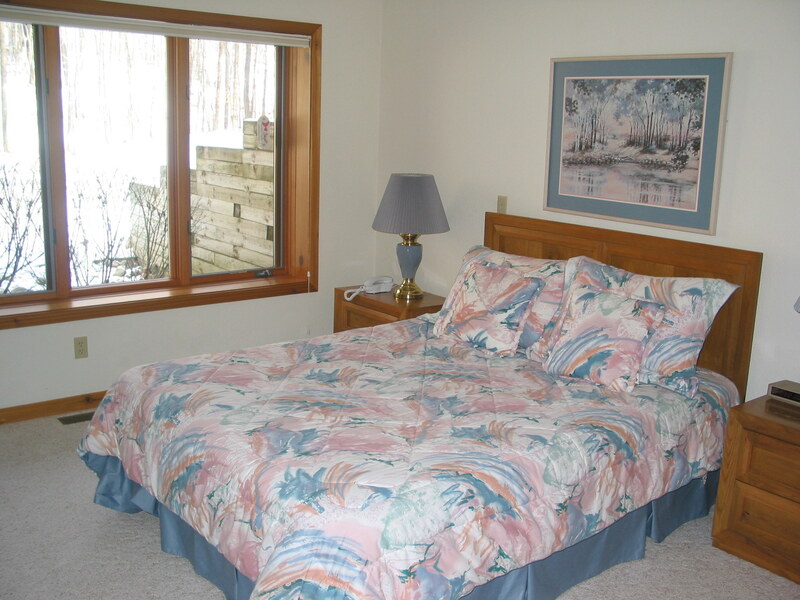 3 bedroom, 2 bath Condominium, completely furnished & equipped. 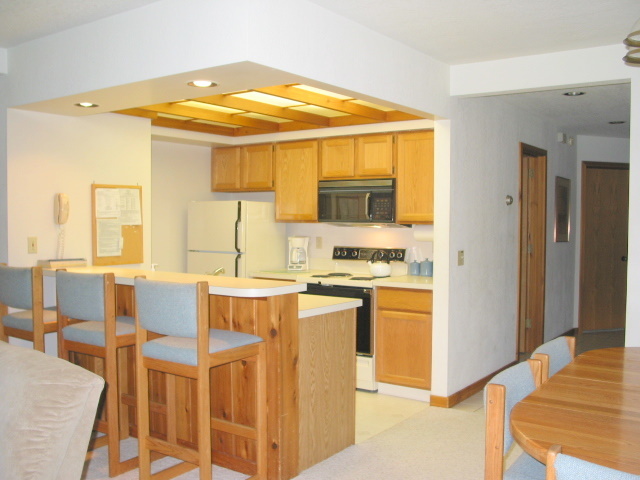 Spacious unit, very well maintained, complete with appliances, furnishings and equipment. 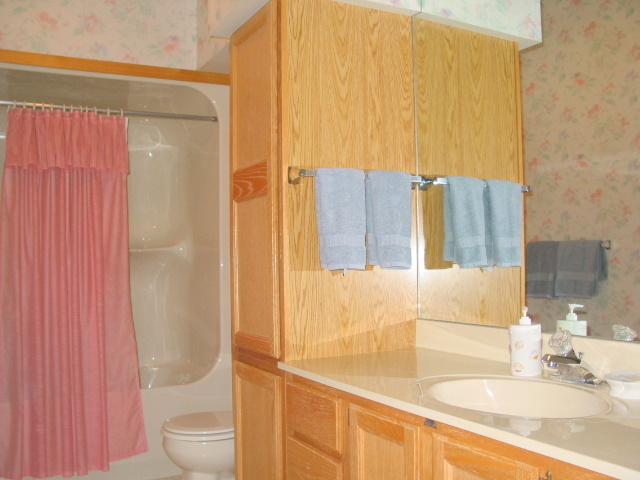 Features include jetted bathtub, inviting field stone fireplace with gas log set, wood trim, lockable owner’s closet. Excellent location, ski-out, ski-in access to orange & brown chairlifts & cross country trails at Nub’s Nob South with superb view of ski hills.